Ada has moved into our doll family with ease. She fits right in here. Saige is (mostly) happy to have another red-head among the small friends. Although she drops the fact that she was Girl of the Year 2013 into conversation a little more frequently then one would expect. 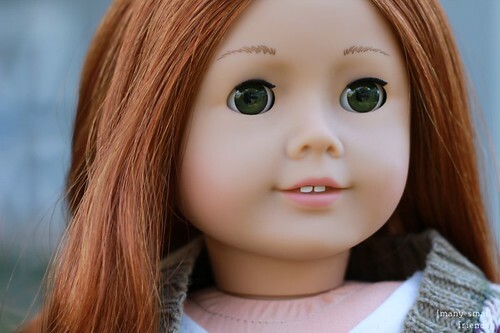 Did you notice that American Girl quietly raised the price of the My American Girl dolls to $115 , an increase of $5, during the Beforever launch? I wasn’t surprised that the historical dolls increased to $115, given the overhaul of the line, but the MYAG dolls generally increase in price (if they are going to) at the beginning of the new year, so it was a little surprising to see a mid-year increase. The last price increase for the dolls occurred on January 1, 2013, when the price went from $105 to $110. Speaking of AG prices, today is the last day for free shipping at AmericanGirl.com with a minimum $50 purchase. Enter code CELEBRATE at checkout. The Maplelea free (or reduced by $9 for US customers) shipping code is also still valid through September 24. Enter code FALL at checkout. AND, I noticed over the weekend that the beautiful Saila doll has been restocked on Amazon! 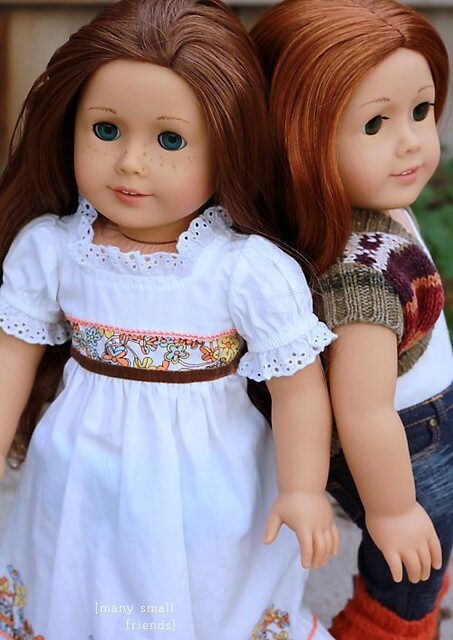 I did a video review of My American Girl #61 and compared her to Saige and doll #55 (Avery). Avery and Ada have very similar wigs, with the obvious difference being the color. There are more pictures of Ada and comparisons with Saige at the end of the video. If you like this video, please subscribe to the Many Small Friends channel on YouTube. I’m having a great time learning how to shoot and edit video and am fortunate to have 24/7 in-house tech support from two teenage boys. This entry was posted in Doll Photography, Doll Review, Doll Video and tagged 18" Dolls, American Girl Dolls, Doll Review, Doll Video.